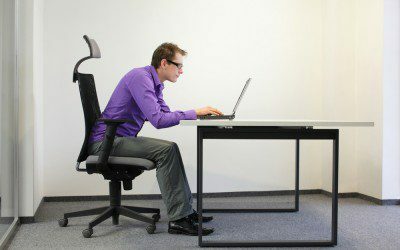 Home > Blog > Flashpoints > How Bad Is Sitting for Health? How Bad Is Sitting for Health? For years now, conventional wisdom — backed up by research — has held that sitting for extended periods is bad for you. It’s not enough, some experts say, to get exercise every day — you also should avoid sitting when you’re not exercising. Here at Diabetes Flashpoints, we wrote about the dangers of sitting back in 2009. That post noted that according to certain studies, adults spend about 90% of their waking hours sitting, on average. Furthermore, every two hours spent sitting daily was found to raise the risk of obesity by between 5% and 23%, and the risk of Type 2 diabetes by between 7% and 14%. Even among people who exercised regularly, sitting longer was associated with a range of worse health measurements. But earlier this month, a study was released that suggests being a couch potato — or an office potato — might not be as bad as other research has indicated. Published in the International Journal of Epidemiology, the study looked at over 5,000 participants without cardiovascular disease at the beginning of the study, and followed them for about 15 years (some participants died or dropped out). According to a HealthDay article on the study, participants provided accounts of all the time they spent sitting on a regular basis, including while at work, while watching TV, and during other leisure time. The researchers were interested in finding out whether any of these categories of sitting was especially associated with poor health outcomes. What the researchers found, however, was that there was no association between time spent sitting and risk of death. While 450 participants died during the follow-up period, the sitting behaviors of those who died were not significantly different from those who were still alive at the study’s conclusion. This study has certain limitations. One is that sitting behaviors were self-reported, so the possibility exists that participants who died were somehow more likely to have under-reported their sitting behaviors. Another is that sitting behaviors weren’t reported throughout the follow-up period — instead, behaviors reported at the beginning of the study were compared with someone’s risk of death over the next 15 years. It’s possible that many people changed their sitting behaviors over this period, and that these changes affected their risk of death. Overall, though, the results of this study still suggest that sitting, by itself, doesn’t carry any dramatically large health risks. The researchers behind it have suggested that physical inactivity, whether sitting or standing or lying down, may be a far more important factor in a person’s health than whether or not you’re seated. What’s your take on this study — does it put any fears that you might be sitting too much at ease? Are you still worried you might suffer negative health consequences as a result of sitting too much, even if they don’t lead to an earlier death? Do you spend most of your waking non-exercise time sitting or standing? Have you noticed feeling any different when you sit or stand for longer than usual? Do you think there are realistic steps you could take to sit less, or is there no easy way to get around it? Leave a comment below!